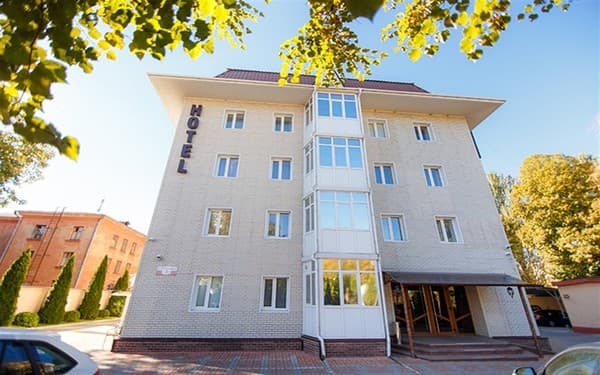 The hotel 'Reikartz Kirovograd' is situated in the central part of Kirovograd City. The Hotel is equipped with the newest conditioning systems and heating system 'chiller-fancoil', electronic locks, cordless internet WI-FI. The Hotel numbers 63 apartments of various categories: beginning with the one-room classic and finishing with the first-class apartments. Apartments are fitted out with everything which is necessary for comfortable residence: closed-circuit television, free access to the internet WI-FI, a fridge, a telephone, shower cubicle, mini-cosmetics. Smorgasbord is included in the price of the rooms' residence. 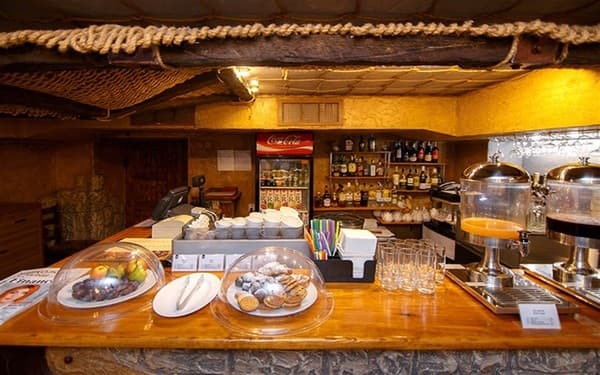 On one's own time all guests may visit our gym The cost of training is included in the cost of habitation), participate in excursion programmes and visit a comfy pub. 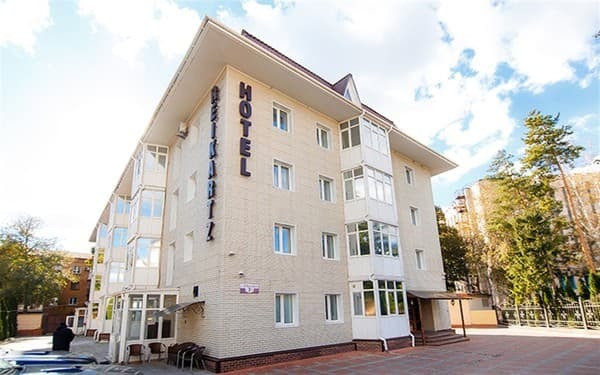 Business-hotel 'Reikartz Kirovograd' is a wonderful place for rest, meetings and business communications. Description of the room: area of ​​17 square meters room. m, equipped with a comfortable single bed. Description of the room: One room area - 21 square meters. 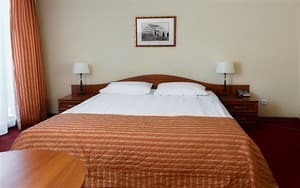 The room is made in light colors and is equipped with a double bed. 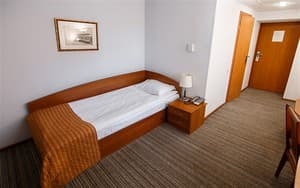 Description of the room: Area of ​​the room is 27 square meters. One room is equipped with a double bed (1800 * 2000). Description of the room: Room size: 18-25 square meters. 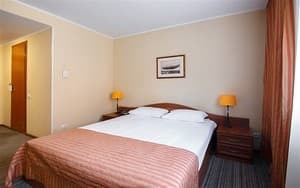 The room is equipped with a comfortable double bed or two single beds. 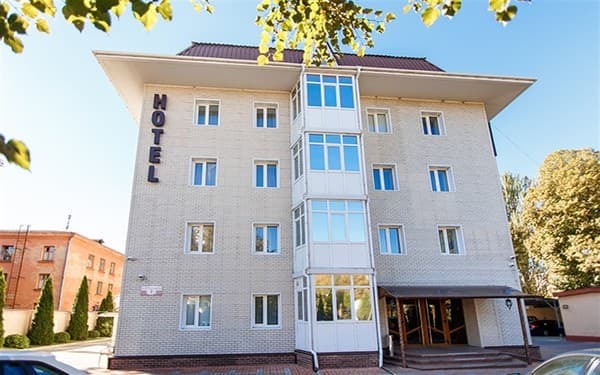 The cost for accommodation of children who are 6 years old and older and adultsfor extra-place in an apartment is 115 hryvnas, including breakfast. Breakfast is included in the room rate as a buffet. 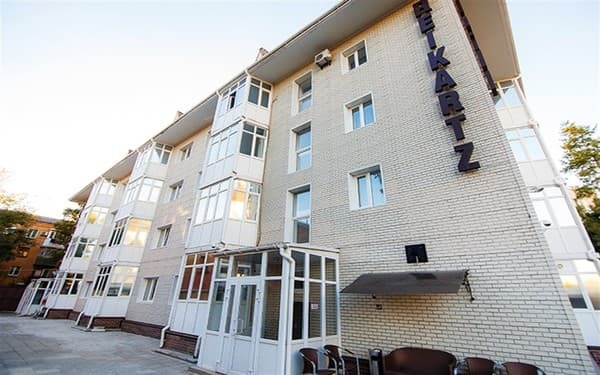 The hotel 'Reikartz Kirovograd' is situated in the central part of Kirovograd city, in a tranquil corner.Leaving the hotel you can be in five minutes in the centre of the city or get in seven minutes to the railway stations or to the bus terminal.